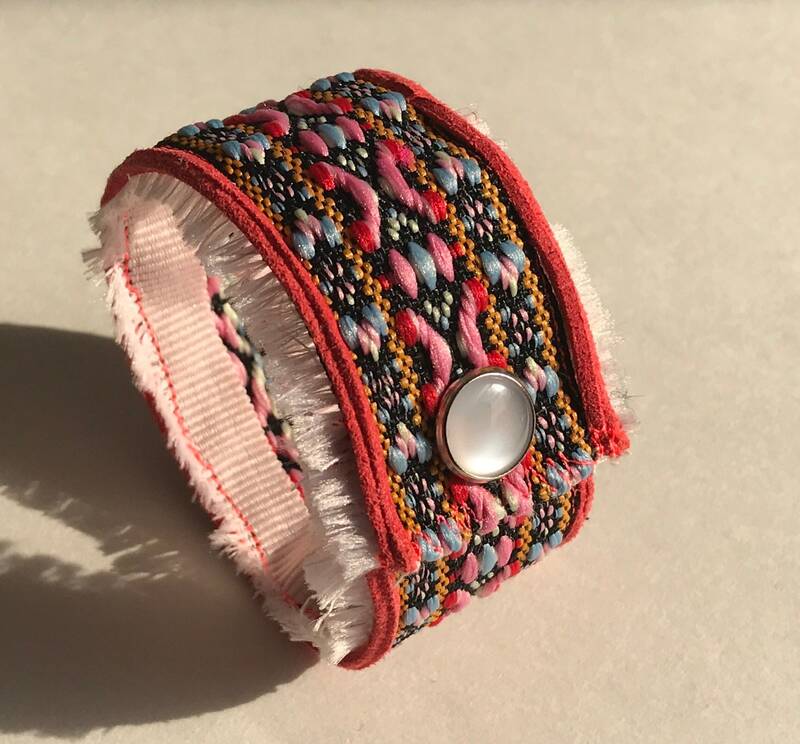 This listing is for a one of a kind wrist cuff on a fabric backing made with a variety of fabrics, stitches, trims and threads layered carefully on the sewing machine. 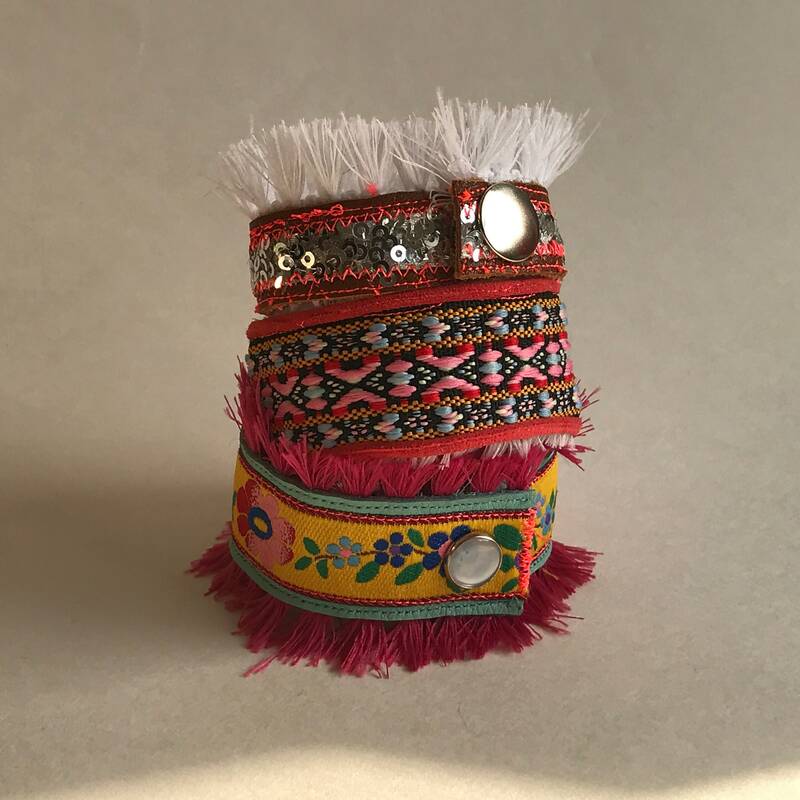 It measures 7 inches long and about 1 1/4 inch wide with the clasp at about 6 3/4 inches. Please measure wrist before ordering. 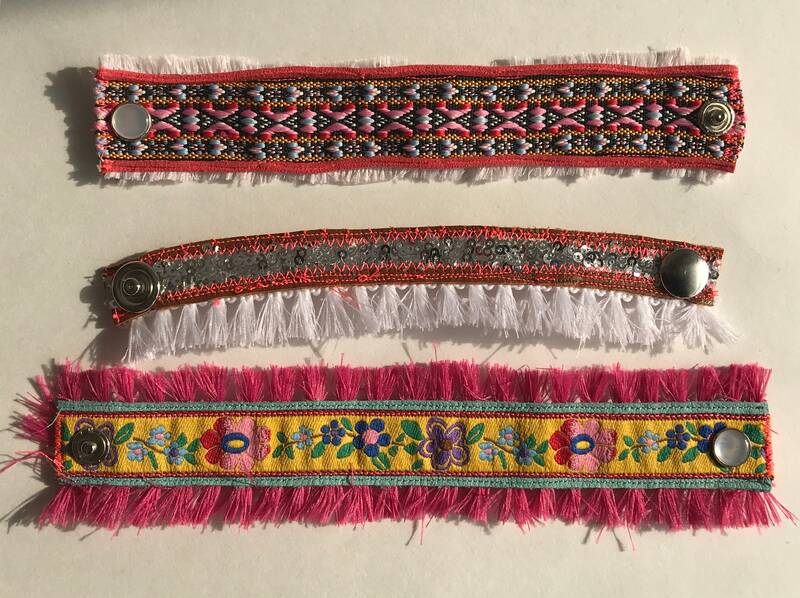 If you like this style, but the size is off, send me a note and I can make a custom bracelet in your size at no additional charge.